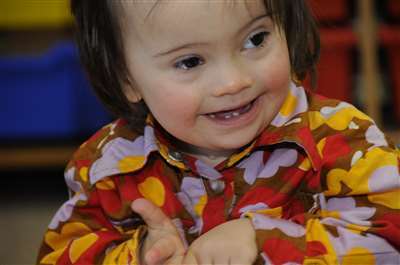 A report of the first meeting of the Down Syndrome Research Directions Symposium, held in October 2007. The symposium, hosted by Down Syndrome Education International in Portsmouth, brought together a multi-disciplinary team of 80 leading scientists and practitioners from across the world with the aim of reviewing current understanding, identifying and prioritising future research, and identifying best practice in care. Buckley, S. (2009) Report of Research Directions Symposium. Down Syndrome Research and Practice, 12(3), 185-187. A review of the DVD video Kids with Down syndrome staying healthy and making friends (written, dreicted and produced by Will Schermerhorn. In this review, Julie Hughes praises the DVD as providing a valuable resource for parents and professionals working with children with Down syndrome. Hughes, J. (2009) Kids with Down syndrome staying healthy and making friends . Down Syndrome Research and Practice, 12(3), 184-184. This editorial discusses the ways in which evidence-based practice should be developed and evaluated, from first hypotheses to gold standard ‘blind’ randomised control trials but also acknowledges that parents, educators and therapists usually have to make decisions on how to best help children with Down syndrome in the absence of this evidence. Guidance is offered on the ways in which new therapies can be evaluated, arguing strongly for objective evaluations and the avoidance of unproven and scientifically implausible approaches. Buckley, S. (2009) The importance of evidence-based practice. Down Syndrome Research and Practice, 12(3), 165-167. This update explores the importance of early auditory stimulation by considering the development of speech processing skills in profoundly deaf children who have received a cochlear implant. This literature is relevant to issues affecting children with Down syndrome, because like them, children with cochlear implants have hearing difficulties, but unlike the former, they do not have oral-motor issues. Pettinato, M. (2009) The effects of early auditory deprivation - insights from children with cochlear implants. Down Syndrome Research and Practice, 12(3), 176-178. Around age 10, if not hopefully way before, parents with a child with Down syndrome make the transition from therapy to sports and recreation; from aquatic therapy to swimming; from hippotherapy to horseback riding. It was readily apparent from Emmanuel’s first golf range practice that he had an innate ability to swing a golf club. It is in his genes. He is at a disadvantage with his typically developing peers that his father has never wielded a golf club in his life. Bishop, V. (2009) Down Syndrome and golf. Down Syndrome Research and Practice, 12(3), 248-249.